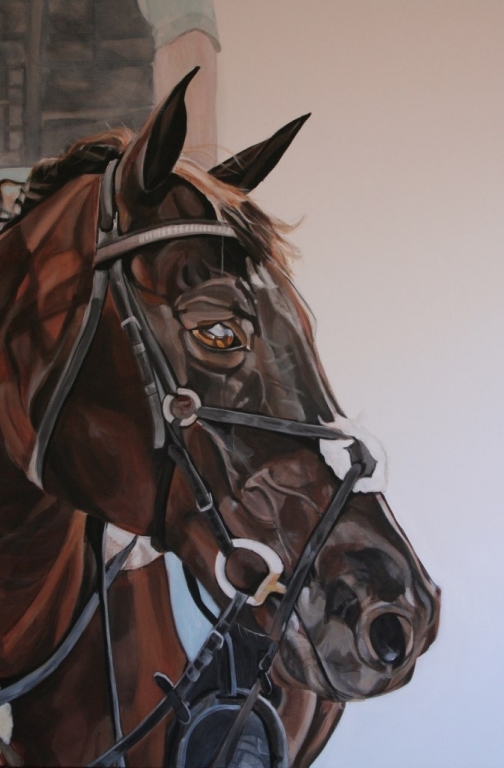 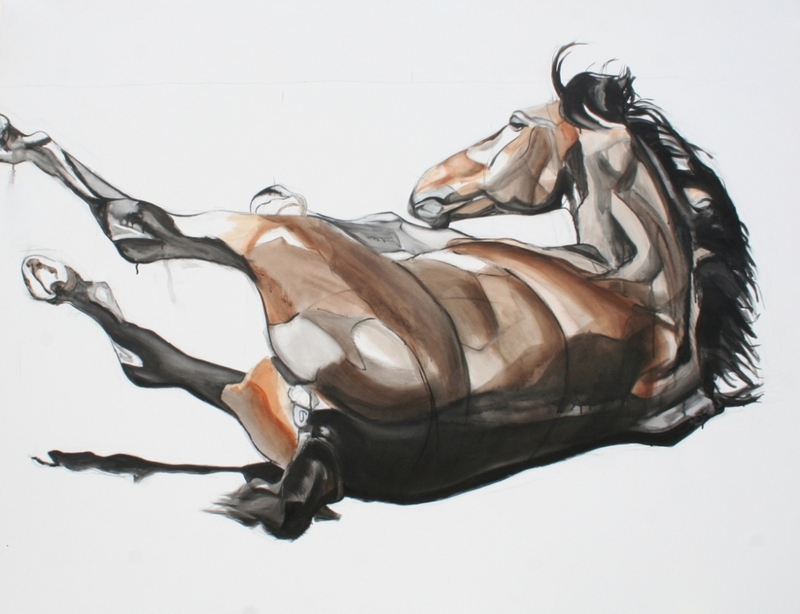 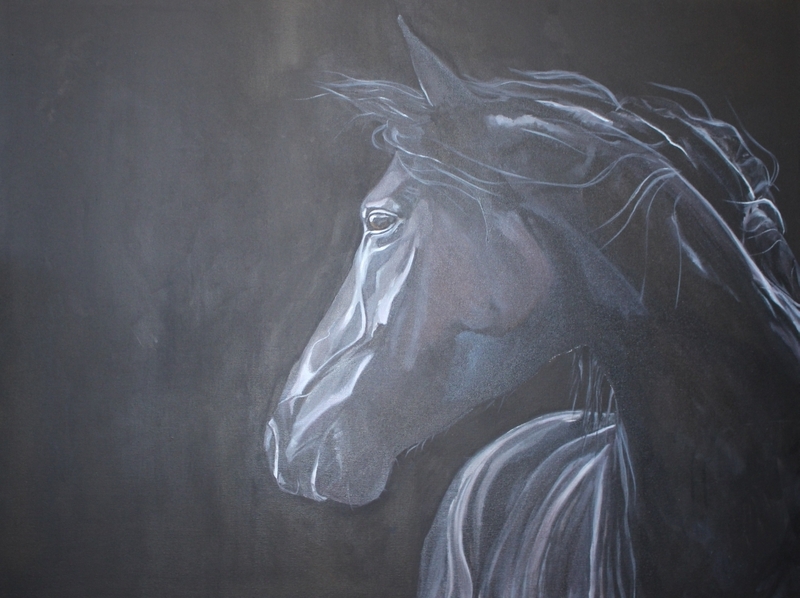 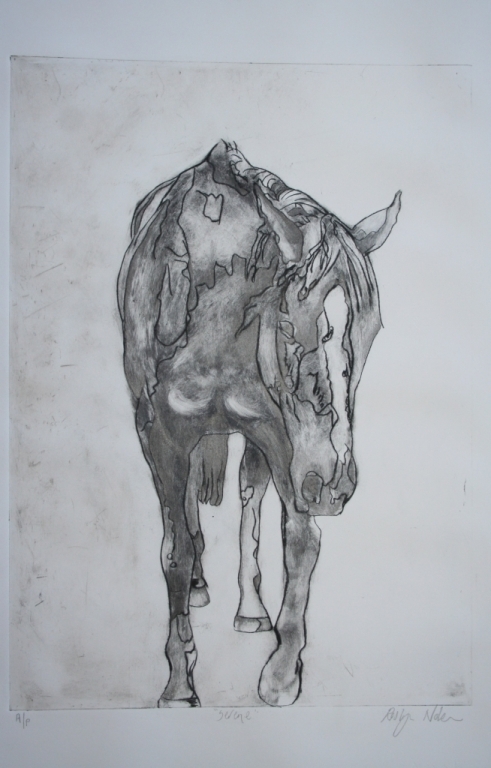 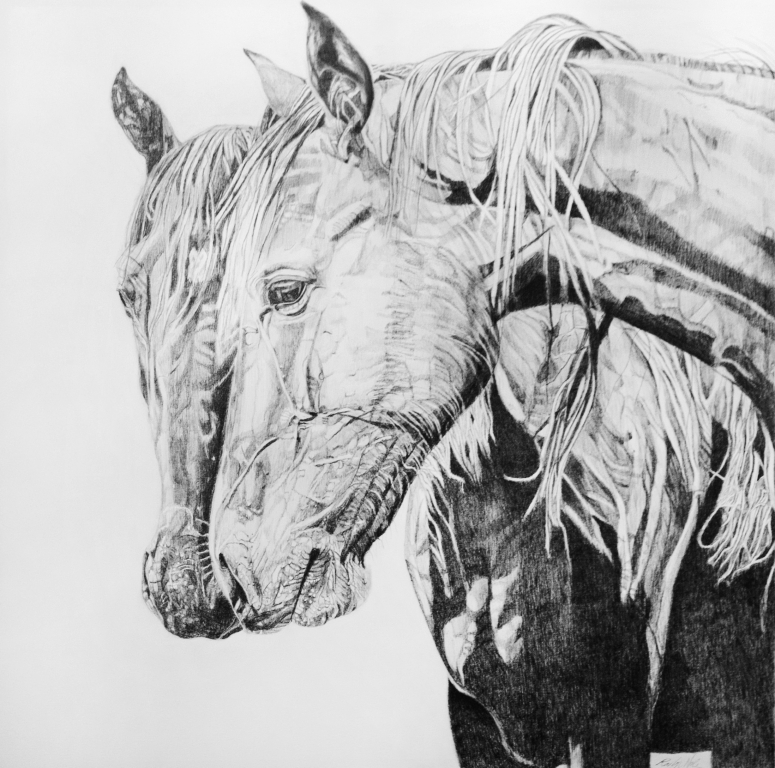 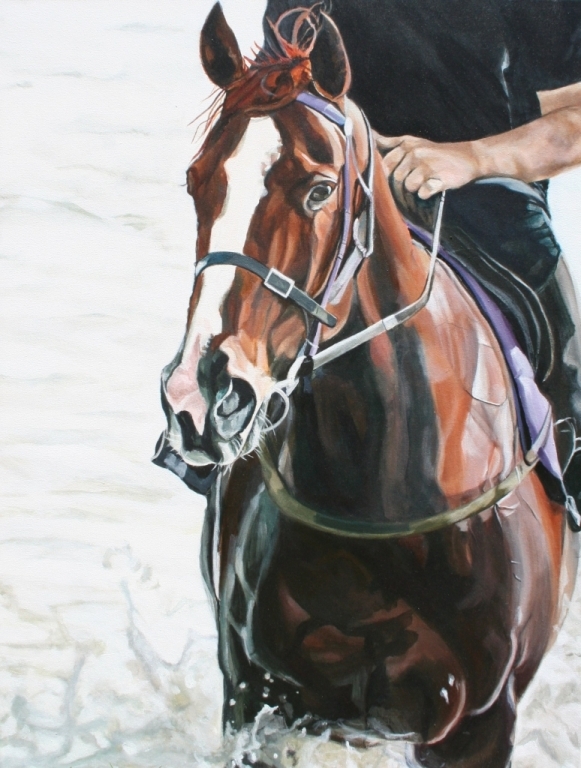 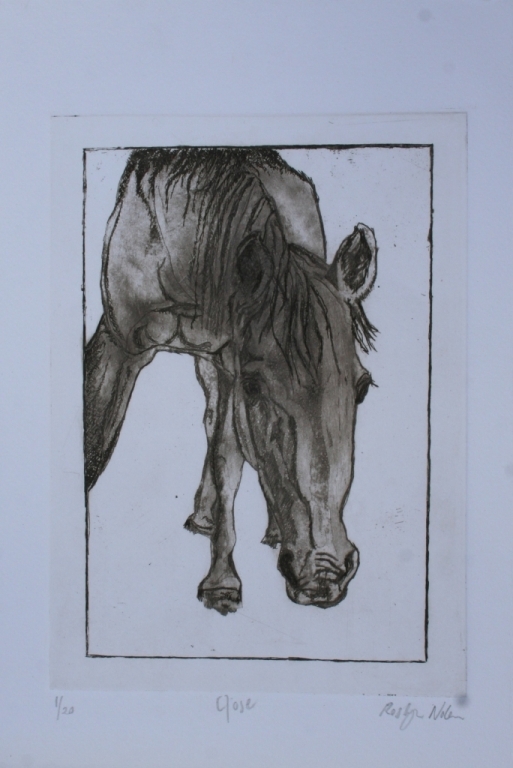 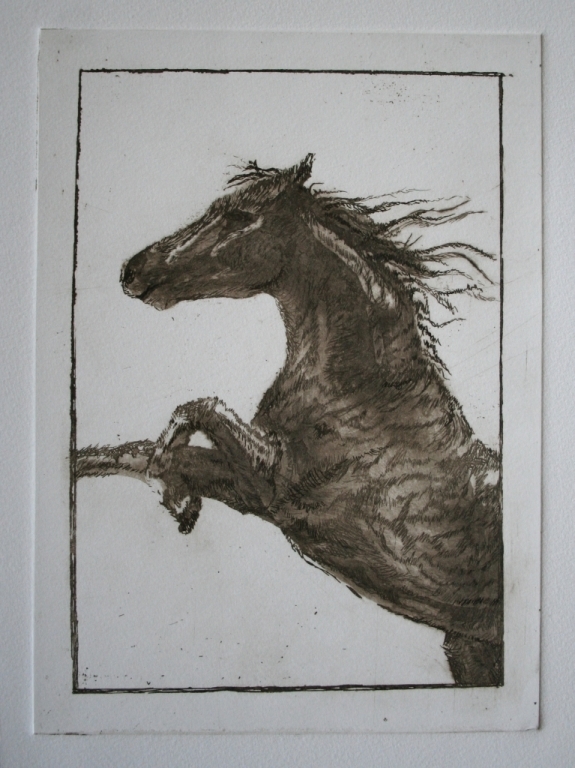 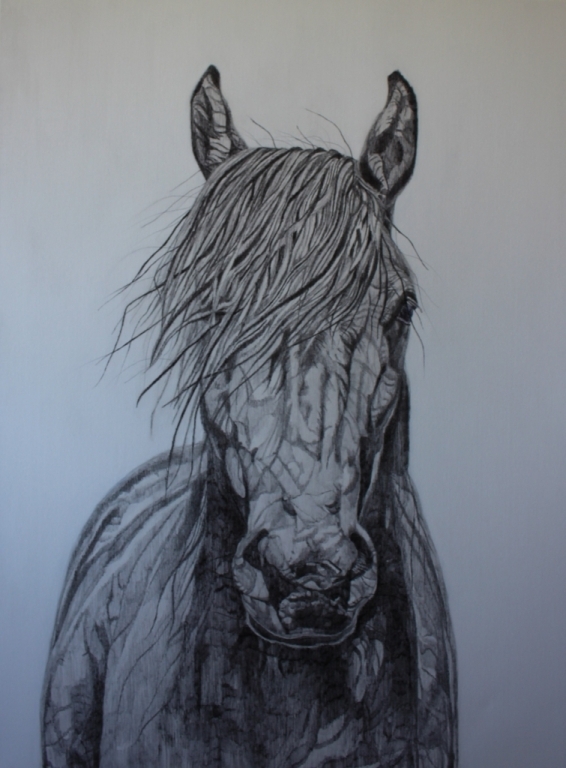 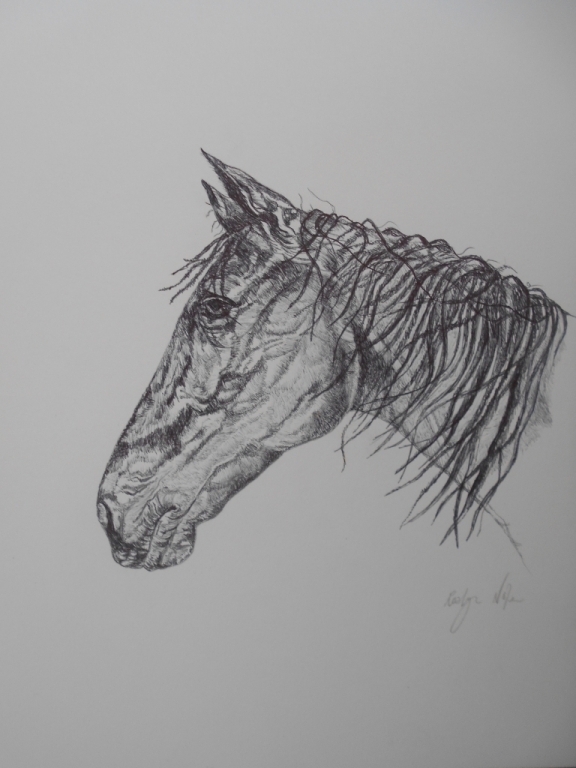 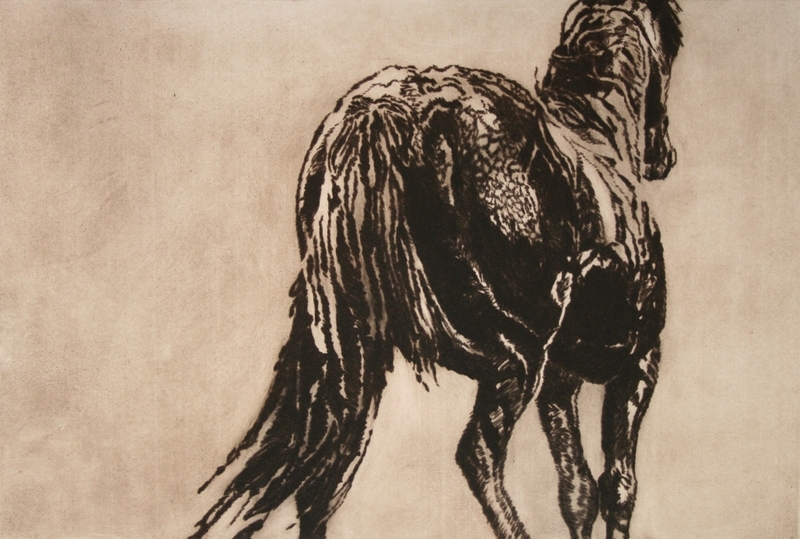 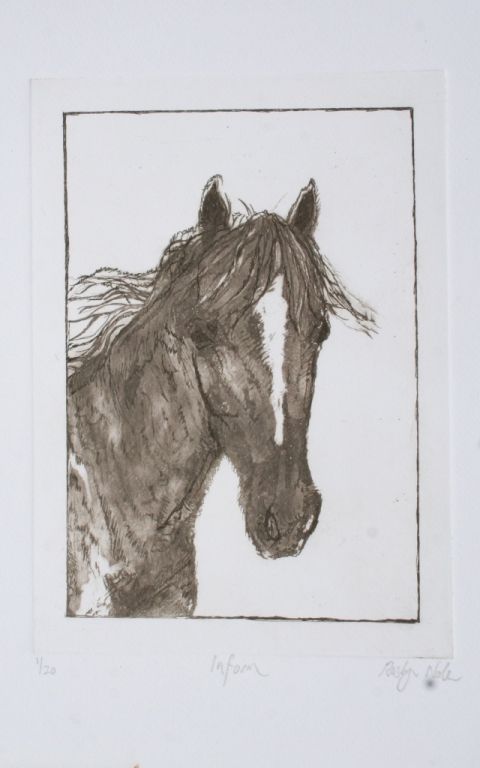 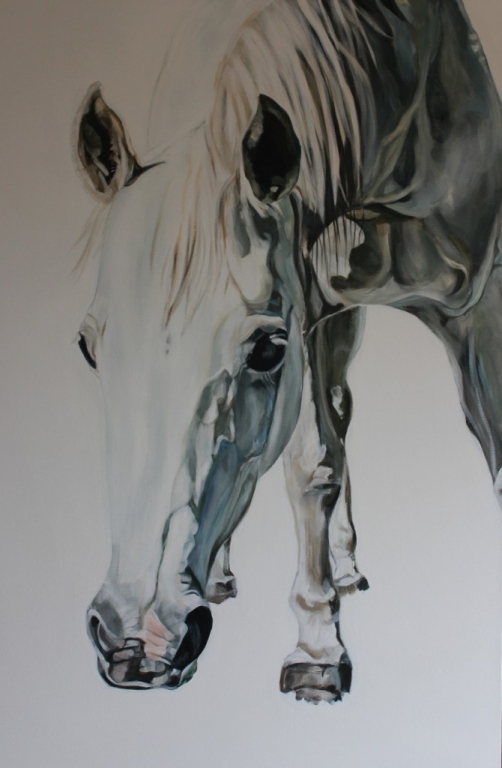 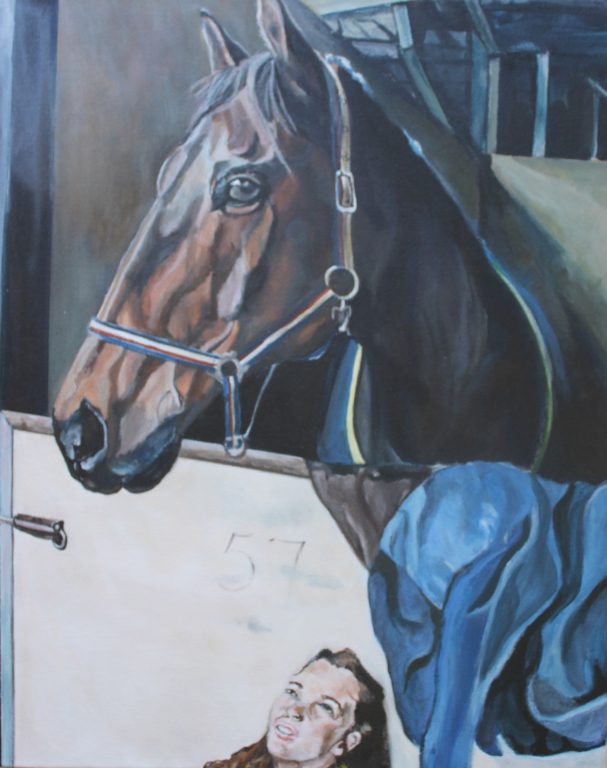 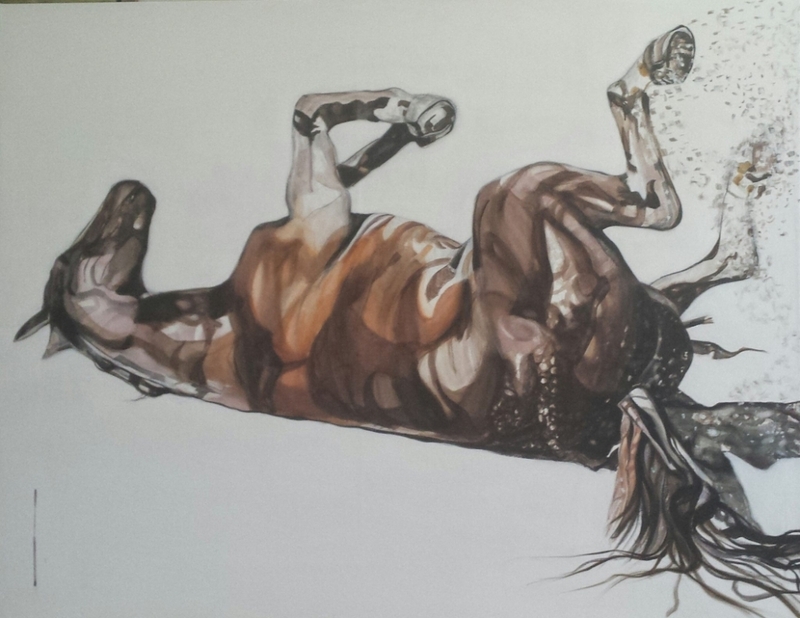 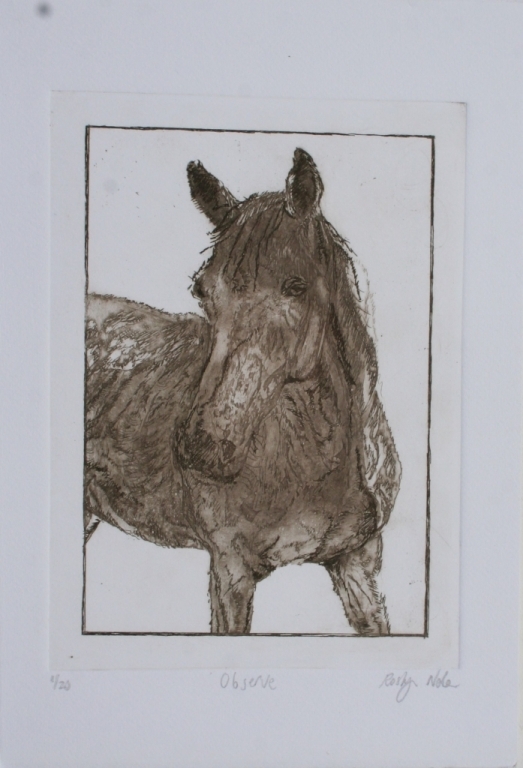 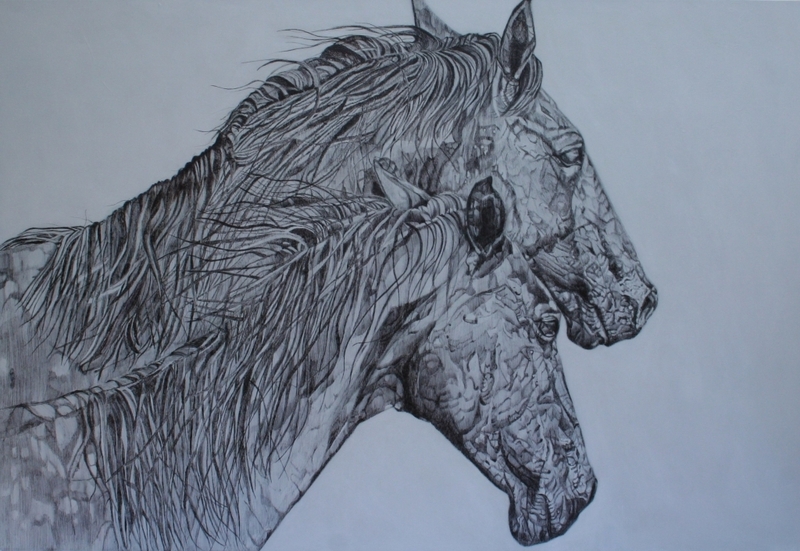 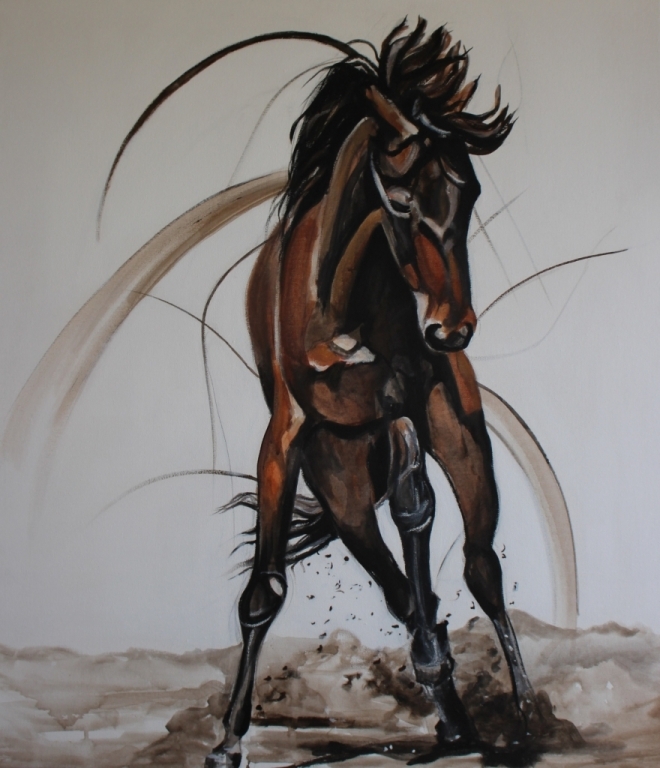 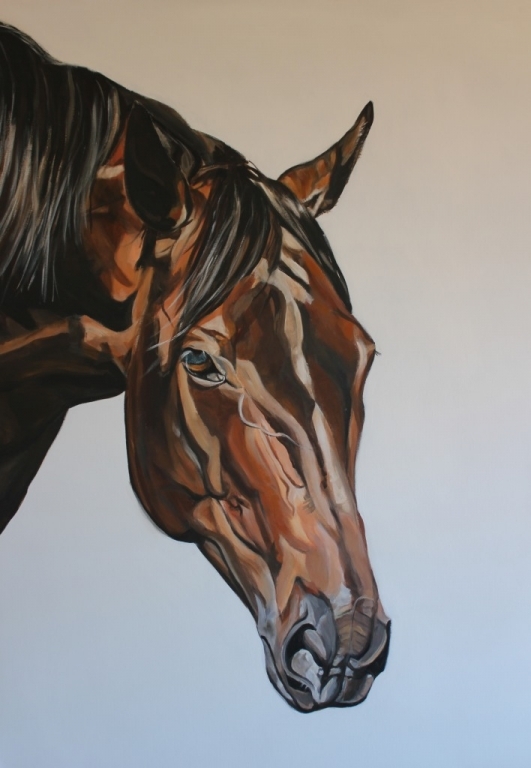 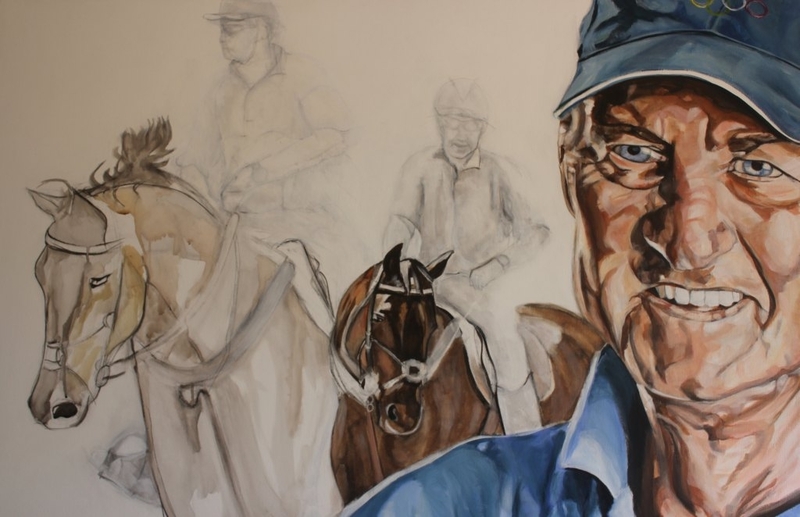 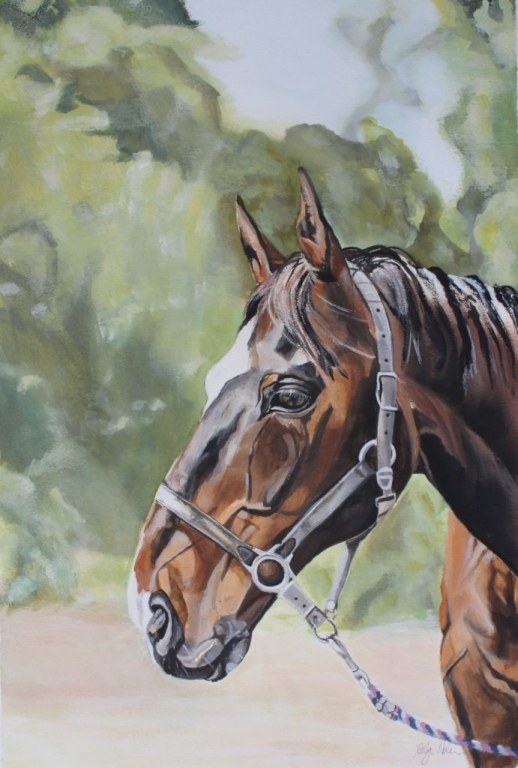 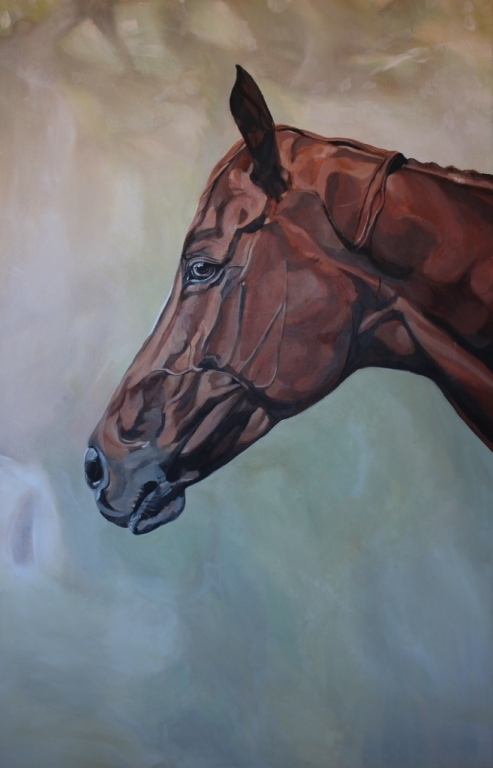 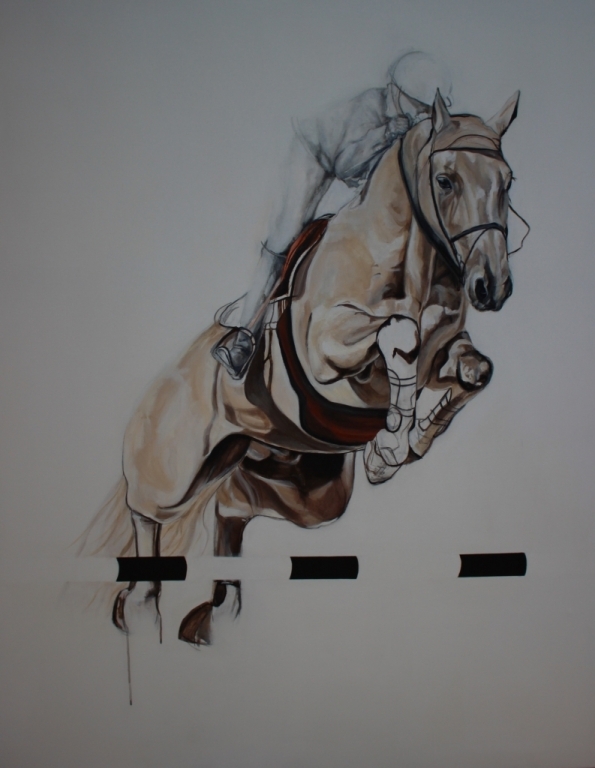 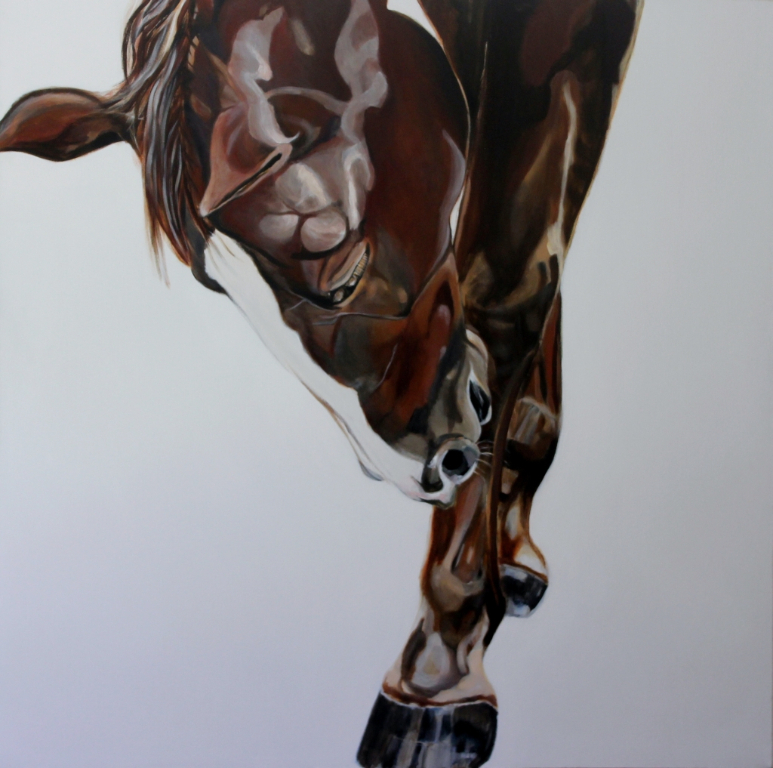 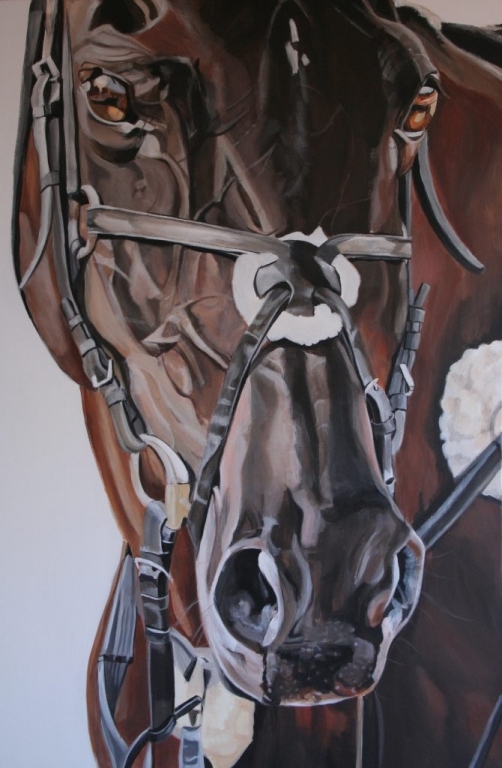 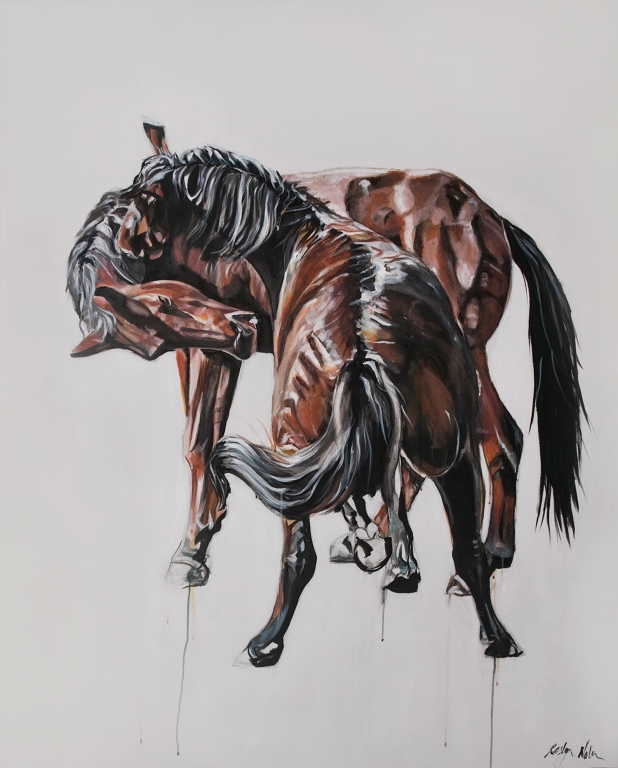 My story is not typical of the young artist who spent hours drawing horses and wishing she could have one of her own. 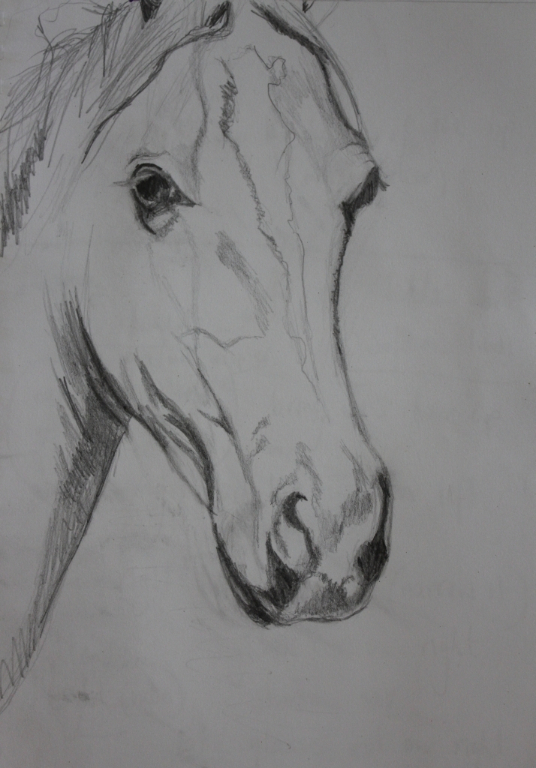 My interest at that time was endlessly drawing portraits. 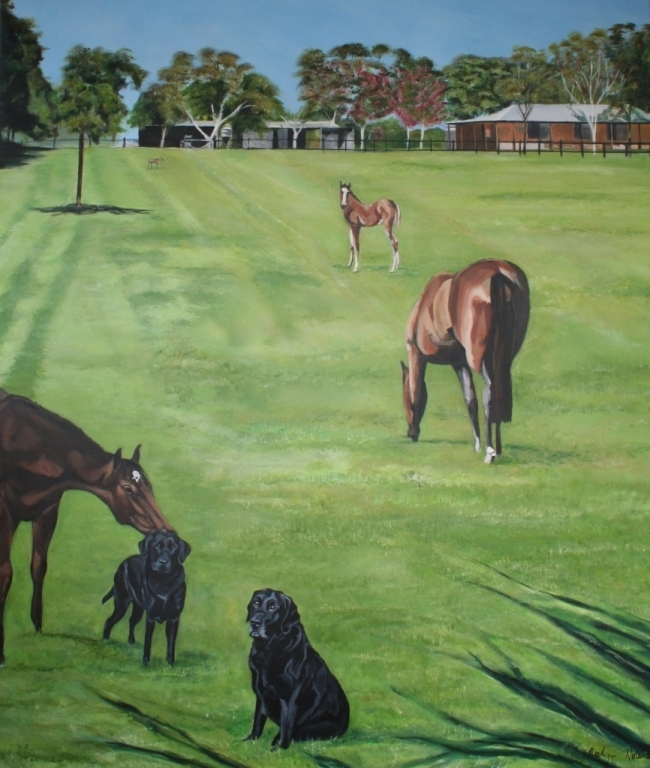 My early years to the age of 12 were spent on a rural property in country Victoria, Australia. 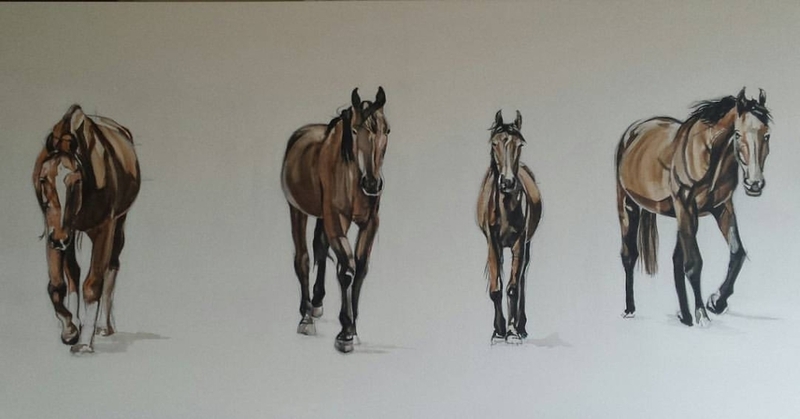 We were surrounded by horses as my father was a horse trainer. 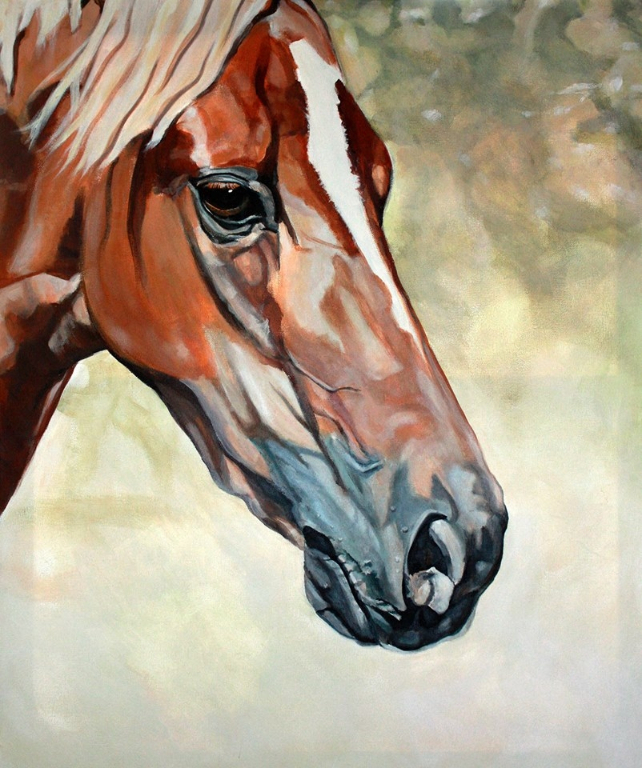 He taught us to have a healthy respect for, and to keep a safe distance from, the young horses in his care. 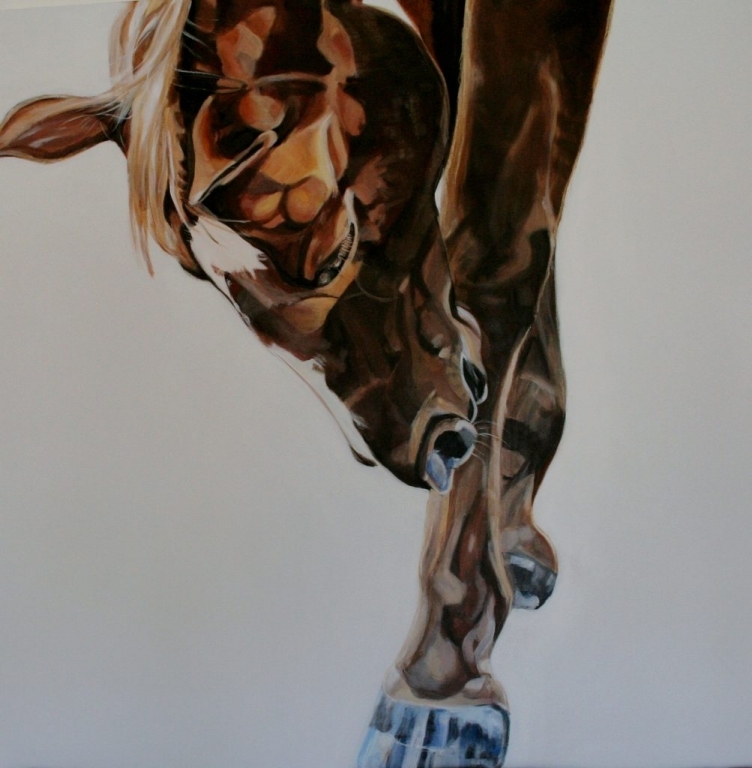 My sister Cate and I shared a horse yet I was never able to give myself fully to the experience – fear stopped me from being a good rider. 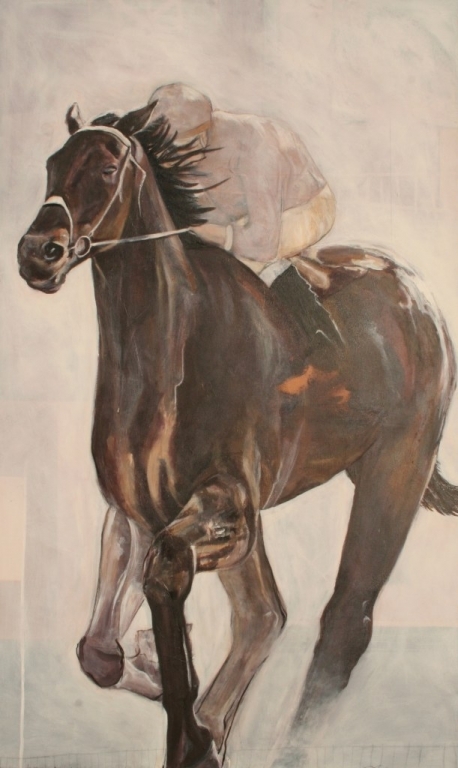 I have randomly ridden since but it wasn’t until my nephew Luke Nolen was given the opportunity to take the ride of a lifetime on Black Caviar that I rekindled a connection to my past. 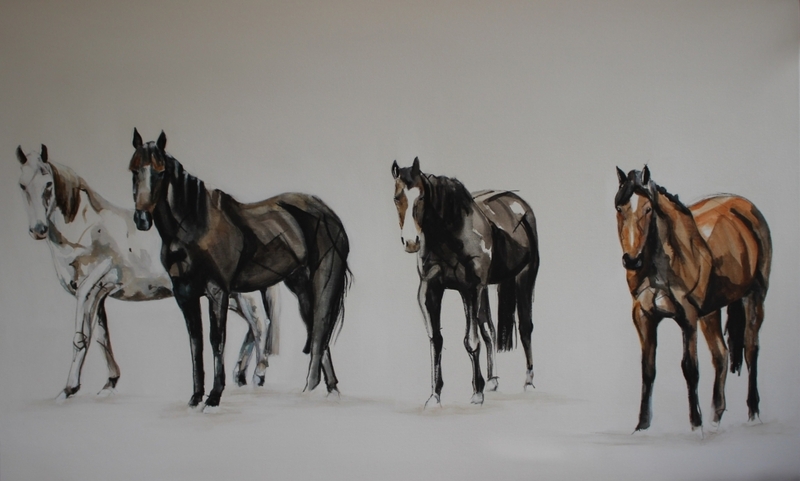 and now my comfort around horses increases with each subsequent painting. 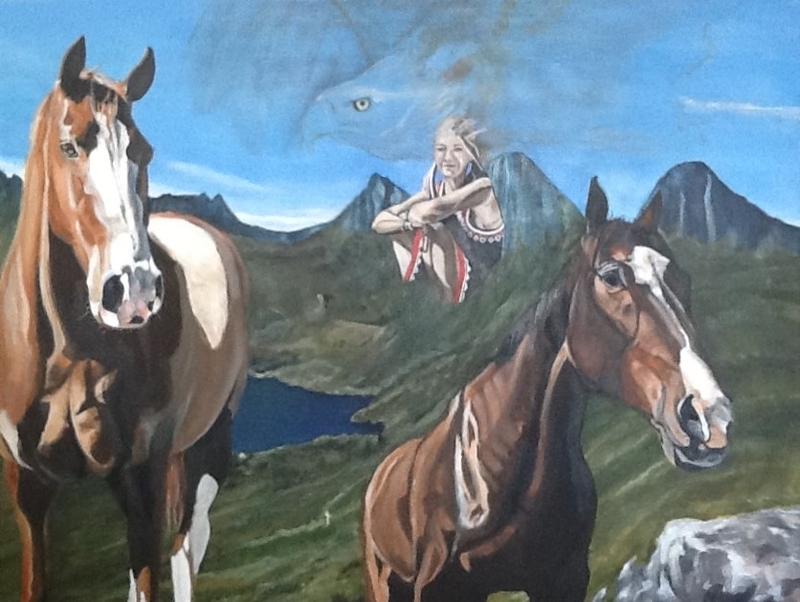 The whispering horse weaves its magic. 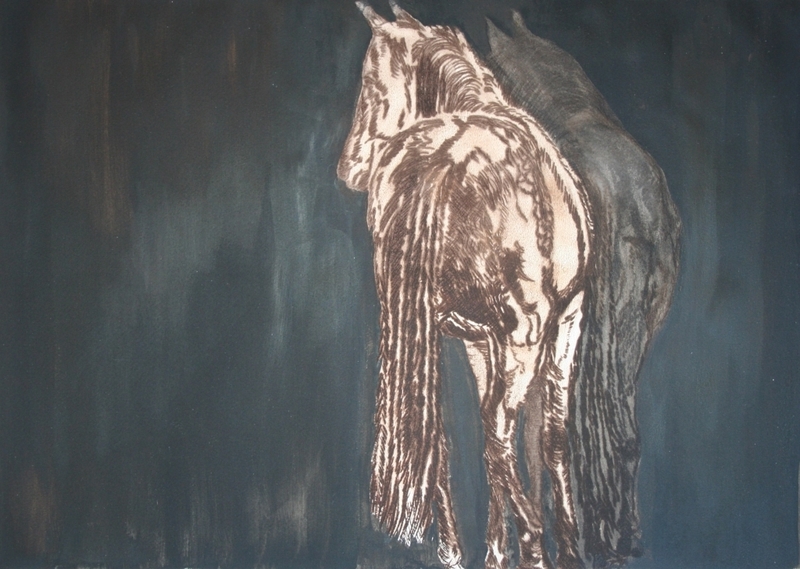 Horses are all powerful, graceful, soulful and connected animals. 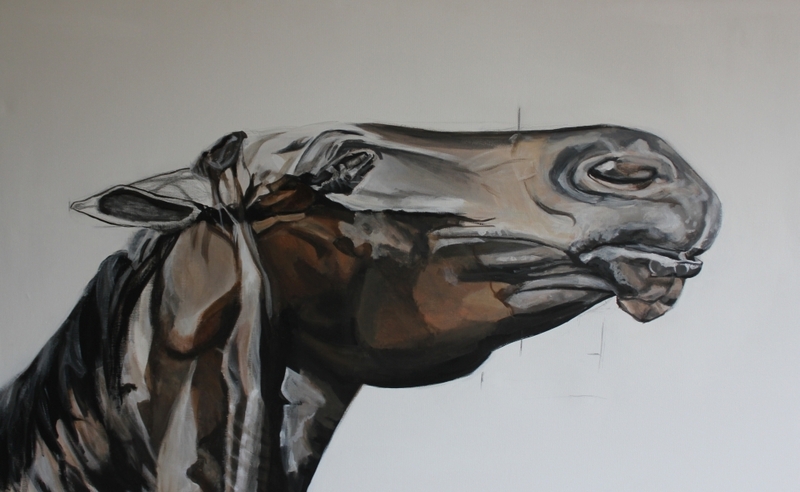 I love the challenge of bringing such characteristics to life through the use of paint and other mixed media. 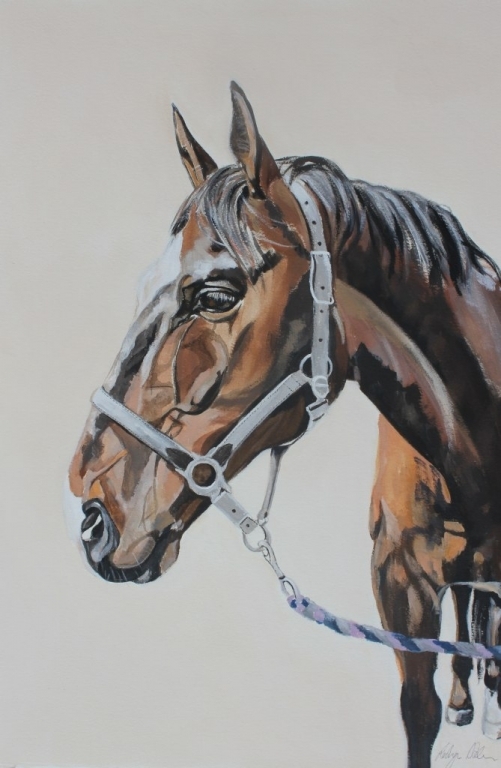 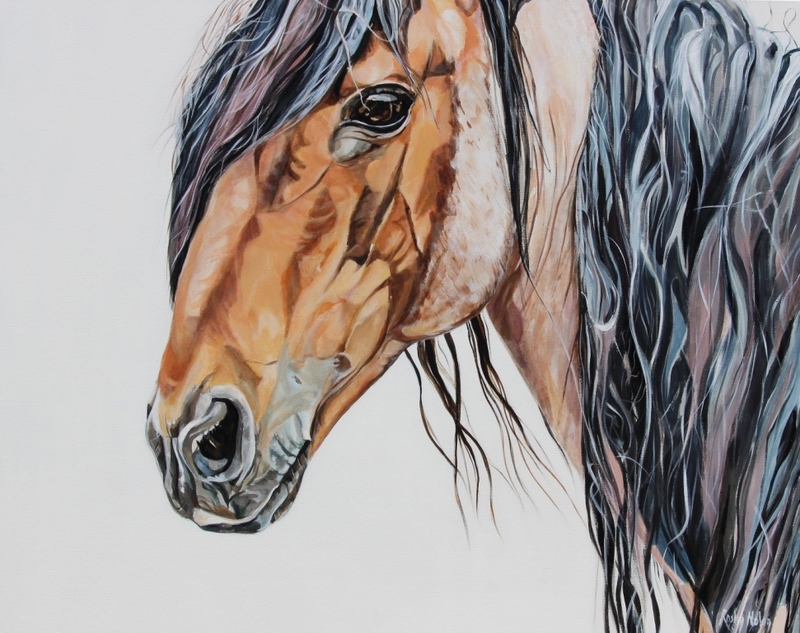 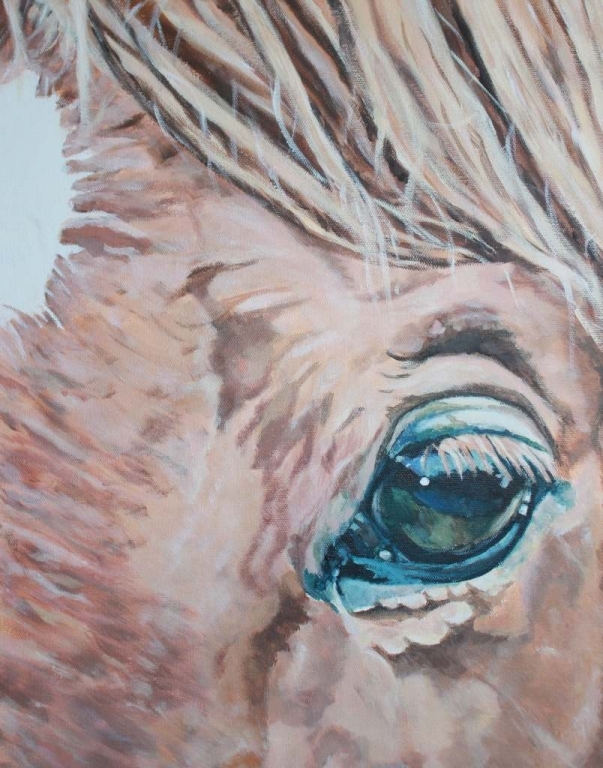 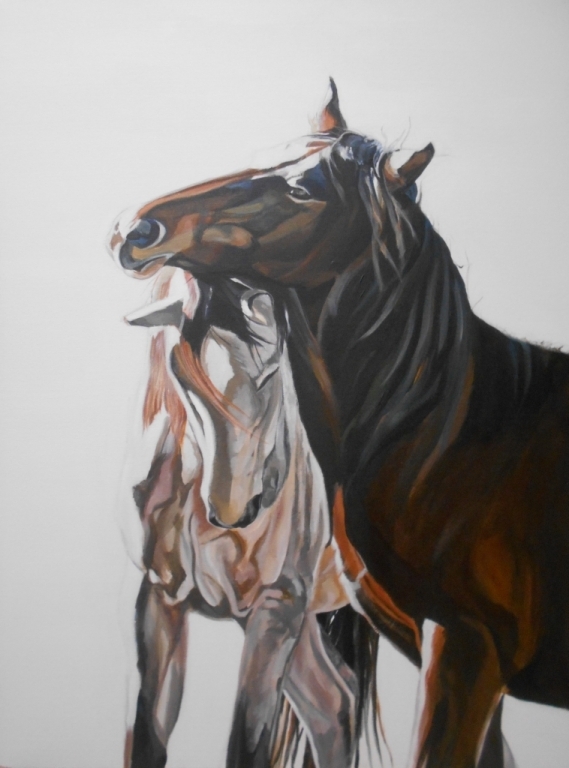 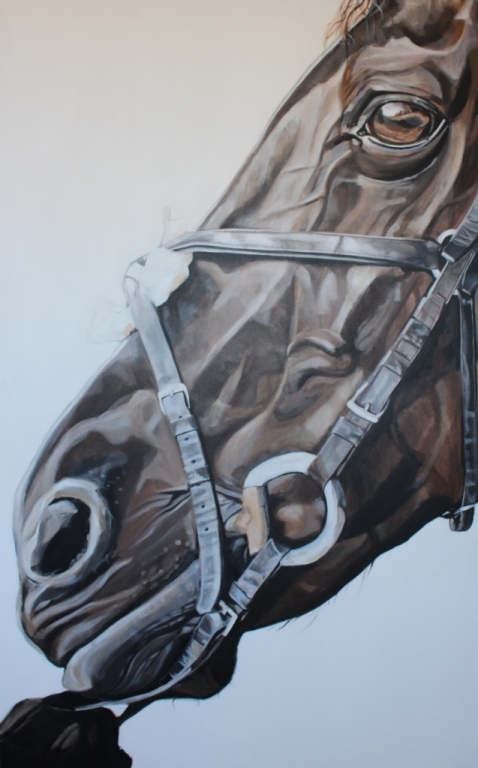 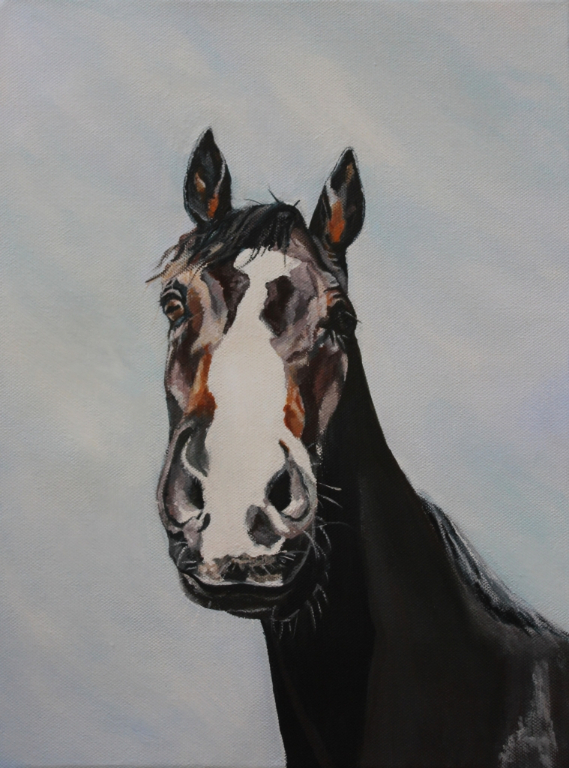 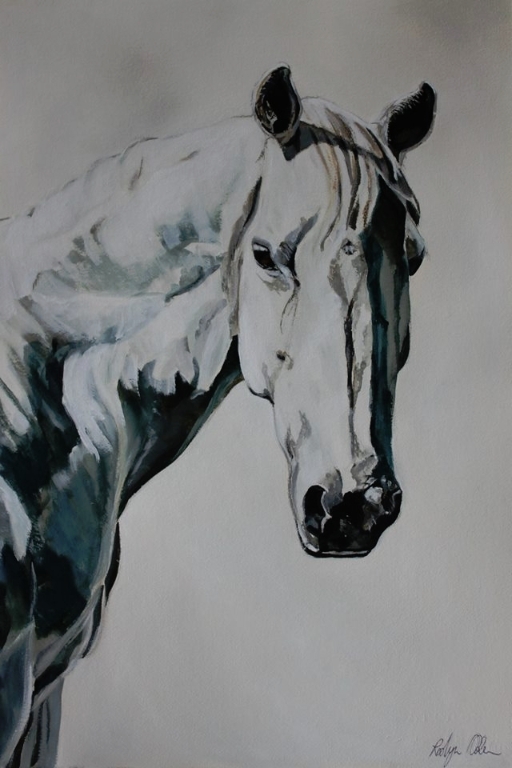 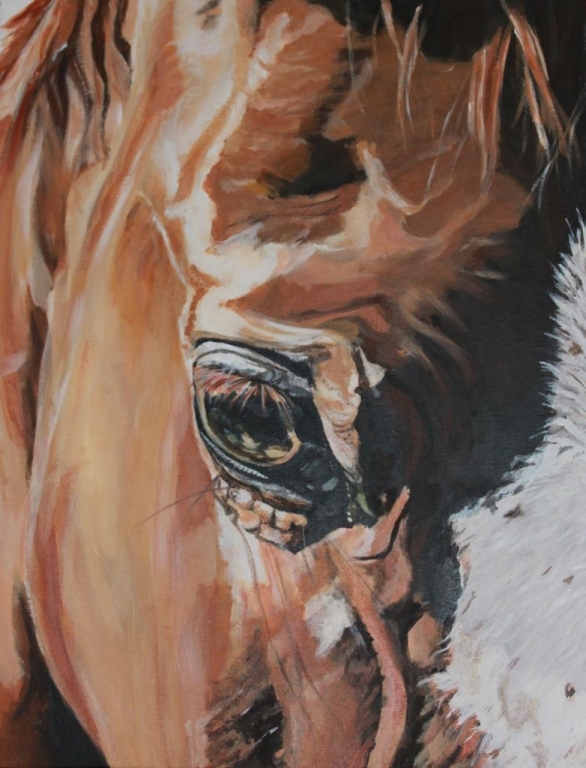 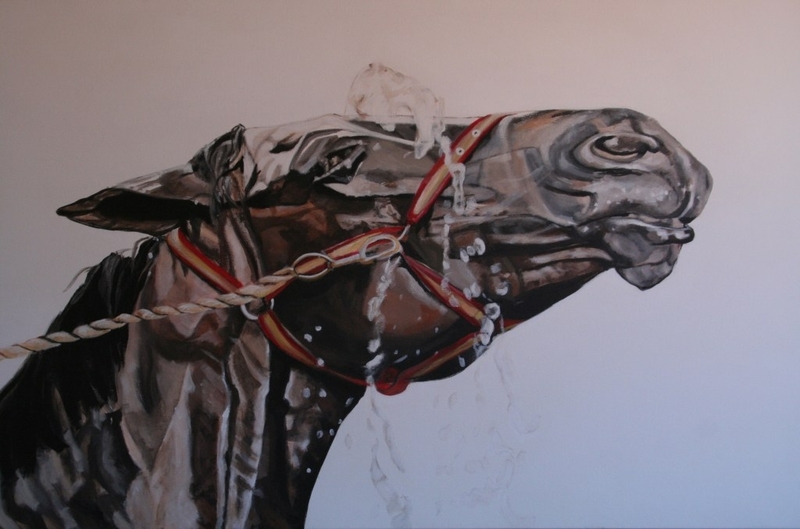 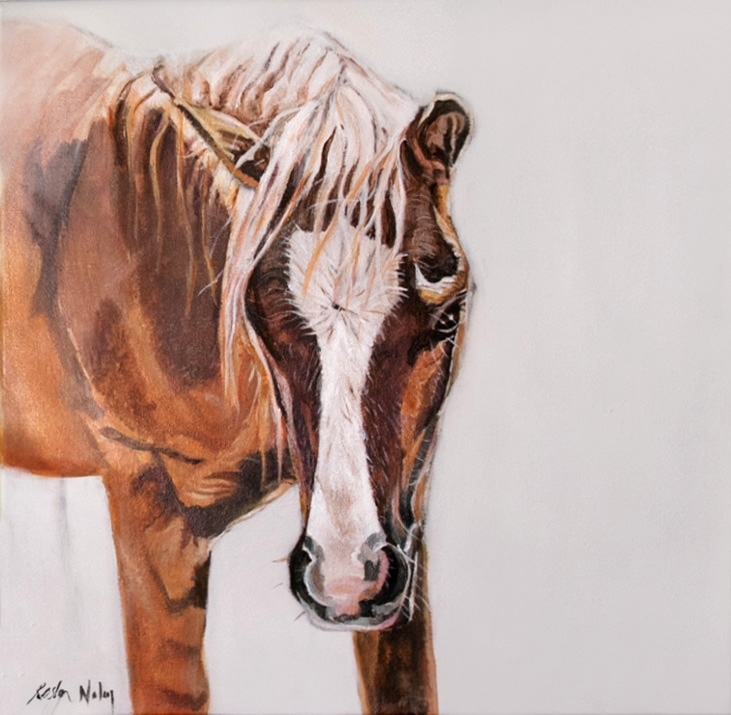 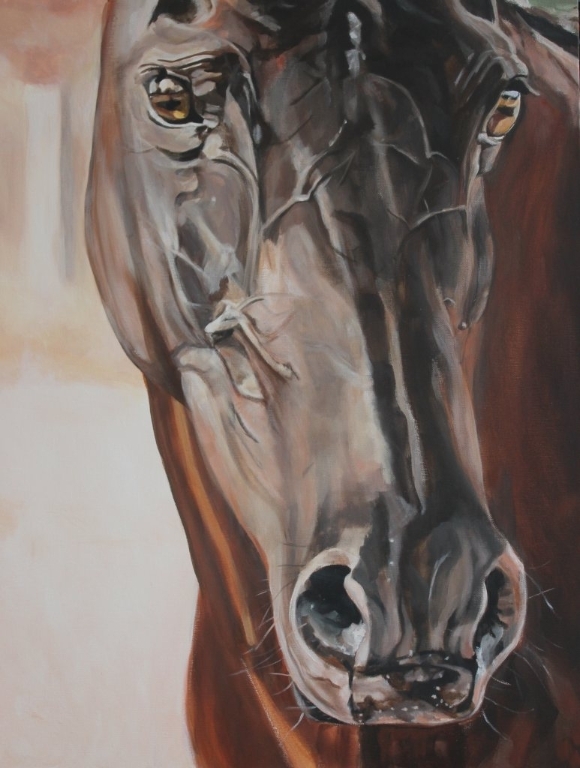 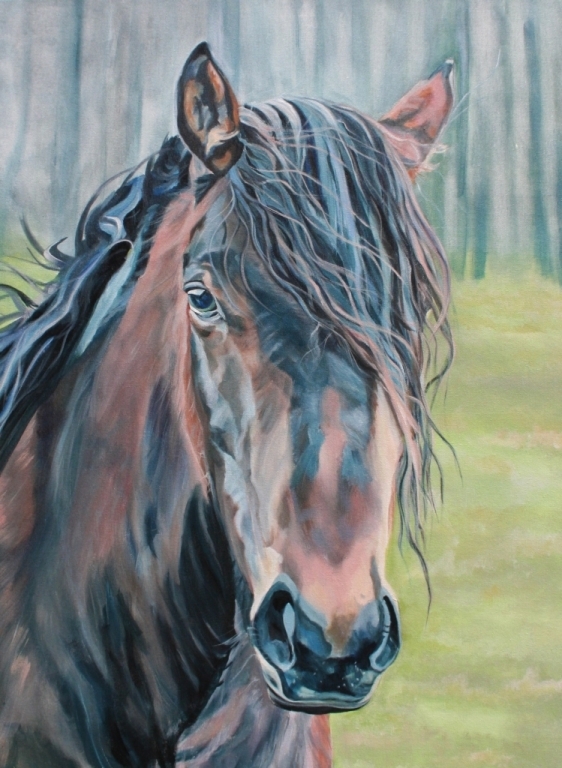 Once the sketch of the horse is drawn, I start painting the eye/s, this enables me to build a connection with the horse and communication can begin and unfold. 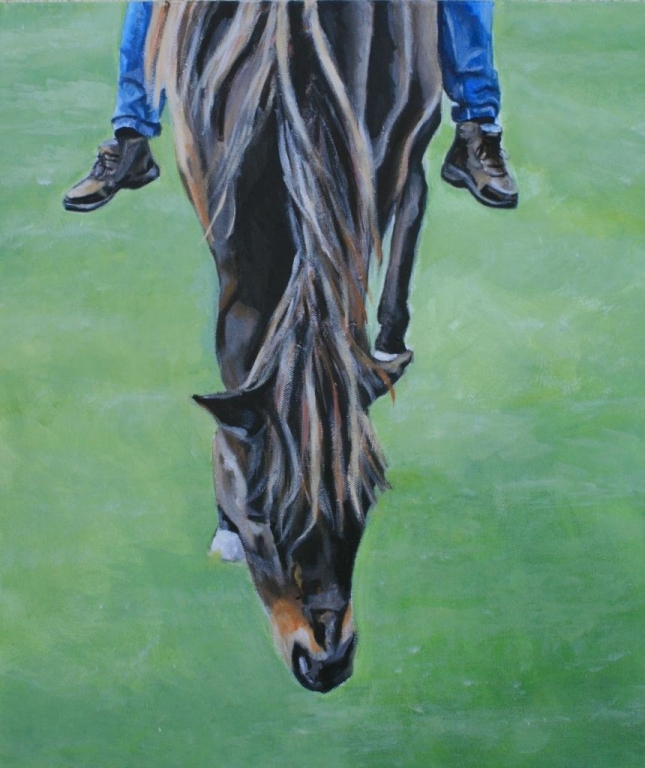 Being witness to the raw and authentic relationship between horse and rider is fascinating, inspiring and uplifting. 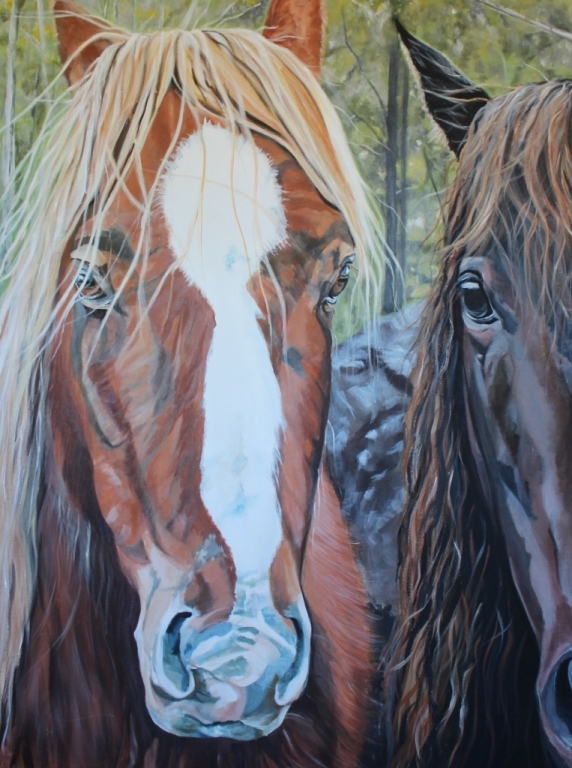 The commitment, dedication, involvement and passion in this unique relationship gives testimony as to why so many people are consumed by a love for these creatures. 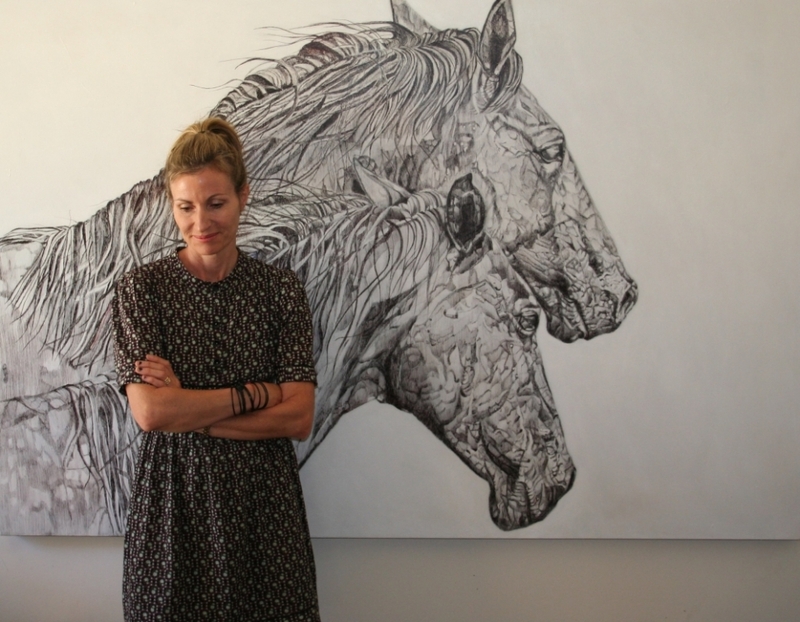 As an artist I have a huge respect for these extraordinary animals and I am thoroughly enjoying the journey they are taking me on.